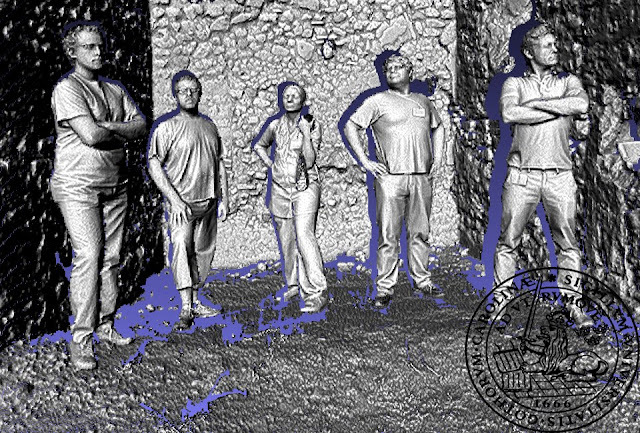 I just come back from an intense week of scanning in Pompeii, where together with Stefan Lindgren (LU), Carolina Larsson (LU), Matteo Dellepiane (CNR) and Marco Callieri (CNR) we finished the 3D acquisition of the insula V1. Last year we focused on the houses of "Cecilio Giocondo" and "Torello di bronzo" (both part of the insula) and at the end of the campaign, we found the time and the energies to acquired a large portion of the street that surround the insula. This year, even if the weather slowed down our work, we completed the acquisition of all the environments left from the previous campaign, closing in only two days the documentation of the insula (fig.1). The knowledge gained last year allowed to speed up consistently the acquisition campaign; in two days, with two teams, we collected and almost aligned approximately 200 scans. Pompeii is really an incredible site, every small room has so many different typologies of information, even if the environments are almost empty the walls are characterized by a large amount of details to document (fig.2). During this season we mainly focused on the north-west and south-west part of the insula, acquiring environments such as: Casa deli epigrammi greci, the bakery, Caupona, etc. These areas are characterized by small and very tall rooms, all connected each others by narrow corridors and small entrances, moreover a number of containers for storage or ovens were still in their original position -bakery or the shops- and the use of the scanner for the acquisition of these rooms was not sufficient (fig.3). In specific the containers for the storage were so close each other to do not allow any (safe) scan position. In this specific case we decide instead to acquire these elements using image based modeling techniques. This approach proved to be very successful and easy to integrate with the laser scanner data. The use of just one instrument or one technique would have never been enough to gain our goal (fig.4). From my experience out in the field, I learned that does not exist any technique, technology or documentation platform able to cover entirelly the documentation of an archaeological site. 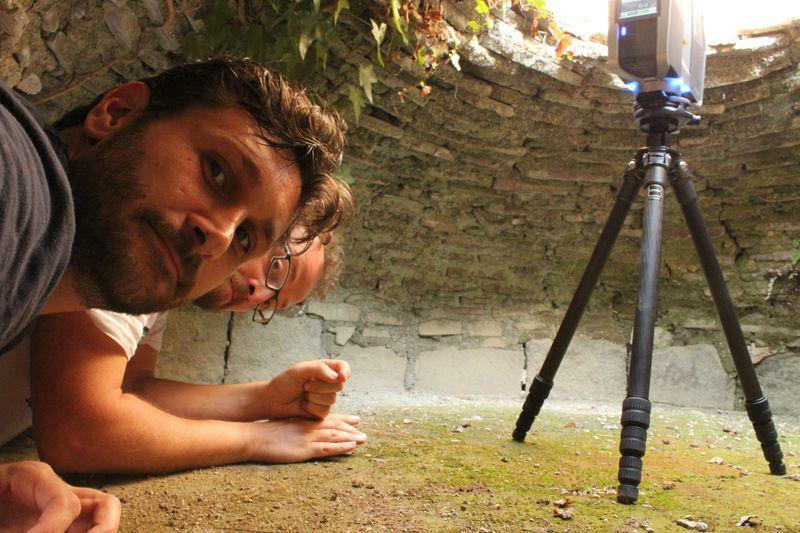 Integration of technologies is the only proper way to face archaeological sites. Flexibility of methods is the only characteristic that allow archaeologist to develop a creative and dynamic research using technology. Last year we worked hard to find a good workflow to post process the data and I think that this year, with some help from our students from Digital Archaeology Course we should be ready with a complete model. 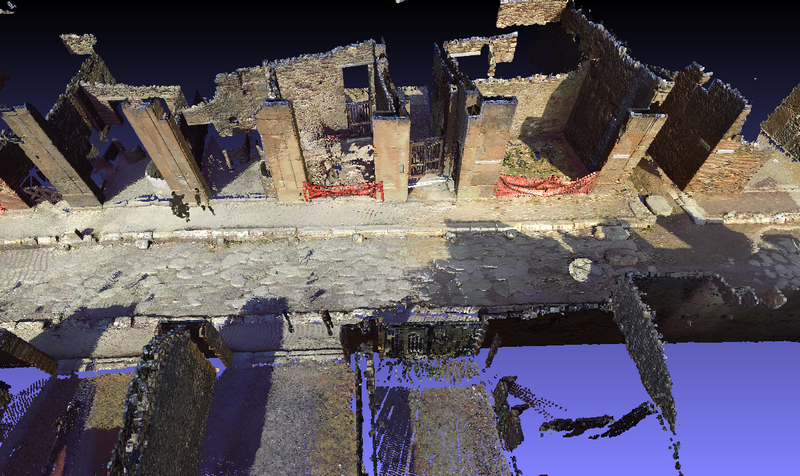 At the end of the project, we are also planning to connect high resolute 3D models of every room with the documentation available on the website of the Swedish Pompeii Project, in order to make accessible this work for everybody.